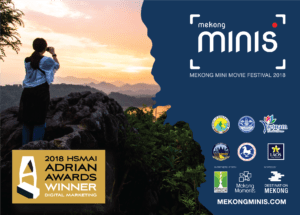 The Mekong Mini Movie Festival campaign has been recognised with the prestigious HSMAI Gold Adrian Award, one of the world’s most respected awards in the travel, tourism and hospitality industry. 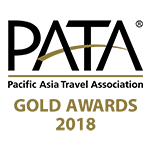 BANGKOK, November 15, 2018 – The Hospitality Sales & Marketing Association International (HSMAI) will honour the Mekong Tourism Coordinating Office (MTCO) with a Gold Adrian Award for digital marketing excellence displayed in its 2018 Mekong Mini Movie Festival, a social media campaign that has earned a global reach of over 7 million people to date. Over 300 videos submitted, 220,000 followers, and nearly 800,000 video views are the numbers gathered from the MTCO’s latest report on the 2018 festival. 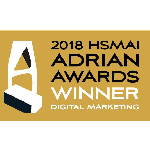 These stats earned high praise from industry professionals worldwide including the HSMAI ahead of its 2019 Adrian Awards ceremony set to take place in New York City. The public contest, conducted by the MTCO in collaboration with the tourism ministries of Greater Mekong Subregion (GMS) member countries, had participants post 60-second (or less) videos showcasing one or more GMS countries to their social media accounts. By requiring each video to be posted with the hashtags #Minis, #MekongMoments, and #[subject country], the MTCO had created a searchable and hugely scalable social media community that helped bring attention to the many wonders of the GMS. The Mekong Mini Movie Festival campaign is hosted on the MekongMoments.com collaborative social commerce campaign platform, which was executed by a public-private partnership involving GMS tourism ministries as well as travel firms including Inter-Continental Hotels Group, Small Luxury Hotels of the World, Yaana Ventures, Odynovo, Tours China, SwissContact, and GIZ. “What makes this year’s recognition extra special is the fact that festival campaign was a true public-private partnership with collaboration from six tourism ministries, the private sector, as well as the World Wildlife Foundation to highlight conservation and wildlife protection,” said Thraenhart. A special prize to highlight the best video focusing on conservation was sponsored by WWF and Khiri Travel, and a special luxury award was sponsored by Rosewood Hotels & Resorts. 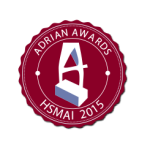 Recognised globally as the largest and most prestigious global travel marketing competition, The HSMAI Adrian Awards celebrates industry innovators who successfully find and create new ways to influence growth in the hospitality industry as a whole. 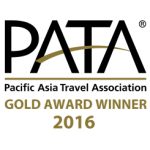 This is the second HSMAI Adrian Gold Award within the past four years for the Mekong Tourism Working Group and its secretariat the Mekong Tourism Coordinating Office. The previous award recognised the 2015 release of its www.mekongtourism.org website, which incorporated a number of innovative features including the popular e-library and the Mekong Tourism Contributor Program. “The Adrian Awards celebrate travel marketing innovators whose awesome creativity and hard work are integral not only to the success of their companies but to the continued growth of the hospitality industry as a whole,” said Robert A. Gilbert, President and CEO of HSMAI. The MTCO will officially be honoured during the 62nd annual HSMAI Adrian Awards Gala on January 22, 2019, at the New York Marriott Marquis, at which nearly 1,000 hospitality, travel, and tourism marketing executives are expected to attend. Title Photo: The 2018 Mekong Mini Movie Festival encouraged professional and amateur film-makers to post engaging videos about Greater Mekong Subregion countries on their social media accounts. The Mekong Minis is a unique film festival that celebrates the many faces and experiences of the Greater Mekong Subregion (GMS) and promotes the region as a single tourist destination. It is an annual regional tourism marketing campaign with its first instance in 2018, supported by all Tourism Ministries and the private sector in the GMS. The festival is targeted to attract amateur and professional movie makers and create a large amount of content for the region with promotions and screenings internationally. The Mekong Mini Movie Festival campaign is powered by Mekong Moments at www.MekongMoments.com/Minis or www.MekongMinis.com. The Mekong Tourism Coordinating Office (MTCO), located in Bangkok, was set up with funding from the governments of the six Greater Mekong Subregion (GMS) countries – Cambodia, the People’s Republic of China, Lao PDR, Myanmar, Thailand, and Viet Nam. The MTCO, which operates on annual financial contributions from each GMS country, acts as the secretariat for the GMS Tourism Working Group, comprising of senior officials of the six GMS countries’ National Tourism Organizations, to coordinate and facilitate sustainable tourism development of the GMS in line with the United Nations Millennium Development Goals, and promotion of the Mekong region as a single travel and tourism destination, in collaboration with the public and private sectors. 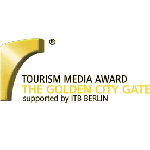 The MTCO manages its award-winning MekongTourism.org digital platform as a one-stop platform to promote responsible and sustainable tourism in the region, as well as the annual Mekong Tourism Forum, whose hosting is rotated among GMS countries. The Hospitality Sales and Marketing Association International (HSMAI) is committed to growing business for hotels and their partners, and is the industry’s leading advocate for intelligent, sustainable hotel revenue growth. The association provides hotel professionals & their partners with tools, insights, and expertise to fuel sales, inspire marketing, and optimize revenue through programs such as HSMAI ROCET, Adrian Awards, and Revenue Optimization Conference. 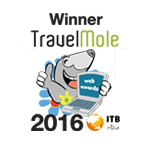 HSMAI is a membership organization comprising more than 7,000 members worldwide, with 40 chapters in the Americas Region.